In 1947, engineers suggested that nuclear energy presented an existential threat to the Panama Canal: a nuclear explosion in a lock canal could halt traffic indefinitely. Ten years later, a joint Atomic Energy Commission (AEC) and Panama Canal Company (PCC) study suggested detonating over 200 nuclear explosives in the Darien region of Panama to create a new sea-level canal. Under Project Plowshare, scientists conducted a decade’s worth of tests to determine the feasibility of this plutonium panacea. By 1970, they conceded that the nuclear canal was little more than a pipedream. Historians such as Christine Keiner, as well as geographer Scott Kirsch, have examined the decline of nuclear excavation in Panama and concluded that public-relations issues were the chief obstacle to the technology’s adoption. A focus on energy and entropy deepens this discussion by suggesting that the challenge of maintaining the steep slopes created by nuclear explosions played an equally significant role in the decision to abandon the project. Photo of the dredges removing material from the Cucaracha slide in the Culebra Cut, ca. 1913. Courtesy of Library of Congress, Prints & Photographs Division, LC-DIG-ggbain-17283. Accessed on 12 March 2019. Click here to view source. Isthmian transit networks had long been vexed by entropy. Without regular injections of energy, human-altered landscapes in Panama grew increasingly disorganized thanks to the heavy rains, floods, and landslides endemic to the region. Since the completion of the Panama Railroad in 1854, engineers had struggled to harness enough energy to maintain infrastructural networks and overcome this proclivity for entropy. Ongoing attempts at imposing order were effective enough to allow the canal to operate with minimal interruptions, but modernists hoped the awesome potential of nuclear energy might allow them to check Panamanian entropy once and for all. Yet, the fearsome energy inside the atom could never be entirely controlled. Nuclear explosives would impact the environment too dramatically, sending fissures through rock and catalyzing landslides that would destabilize the Darien landscape. 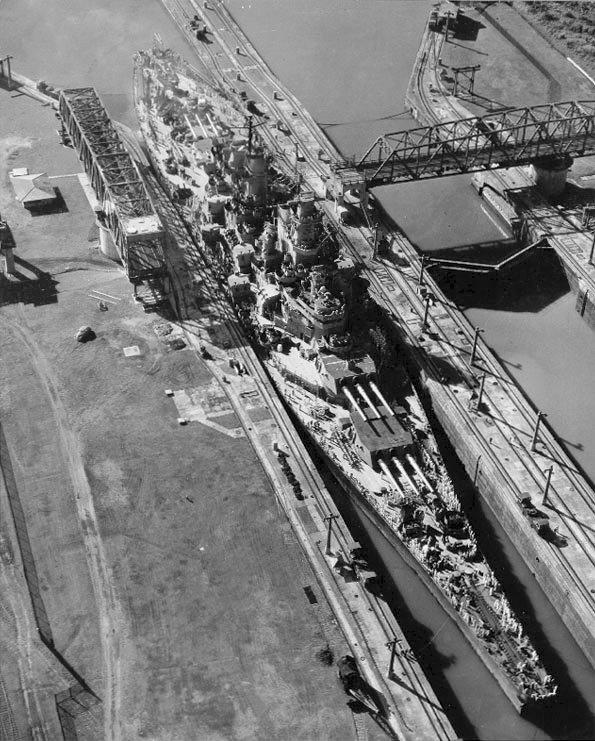 The USS Missouri making its way through the Miraflores locks, 13 October 1945. Unknown photographer, courtesy of the U.S. Navy. Accessed on 12 March 2019. Click here to view Naval History and Heritage Command source. The central challenge faced by Plowshare engineers was slope stability. Underground nuclear explosives generated tremendous amounts of force, ejecting earth and rock out of the blast site. This energy was the key to nuclear excavation’s economy as there was no need for conventional excavation to remove fallback material. The catch was that the resulting craters had terribly steep slopes. These slopes were stable in the dry Nevada desert, but there were questions regarding their stability in the water-saturated rocks and soils of Panama. 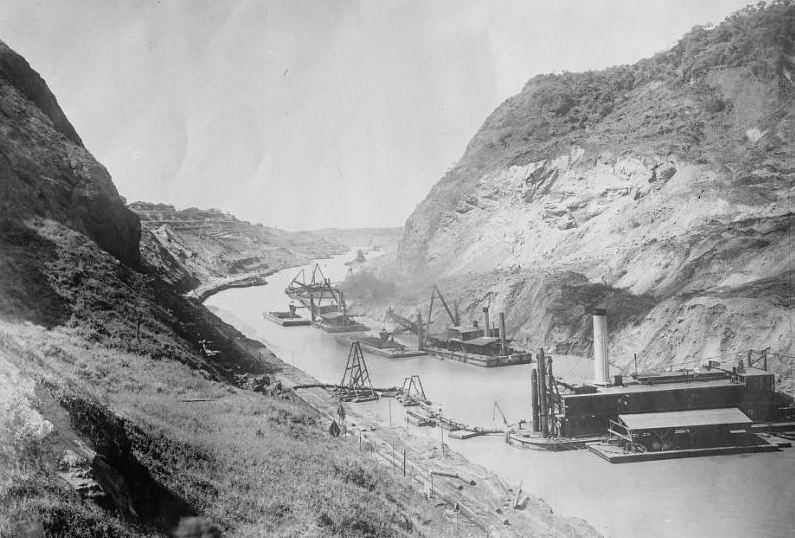 The difficulty in adapting construction techniques developed in dry environments to the wet and rainy terrain of Panama had exasperated engineers since Ferdinand De Lesseps attempted to implement techniques perfected in the construction of the Suez Canal in Panama in the 1870’s and 1880’s. Nuclear energy may have been exponentially more powerful than any source of energy in De Lesseps’s arsenal, but slope instability suggested it still could not maintain order in the shifting environment of Panama. Scientists were slow to accept the importance of slope stability. A 1960 study dismissed the issue, suggesting, “The banks of a nuclearly excavated canal would be natural angles of repose and therefore would be stable.” The more nuclear tests the AEC conducted, however, the more slope stability seemed to be the bane of the technology. The 1962 Danny Boy Test reinforced this concern. Danny Boy’s slopes were as steep as 45 degrees near the top of the crater and had resulted from only a 0.4 kt blast. The AEC suggested that 5 to 10 Mt devices were necessary to cut through the rocky continental divide of the Isthmus. There was a distinct potential that exponentially larger blasts might spawn exponentially steeper slopes as well. 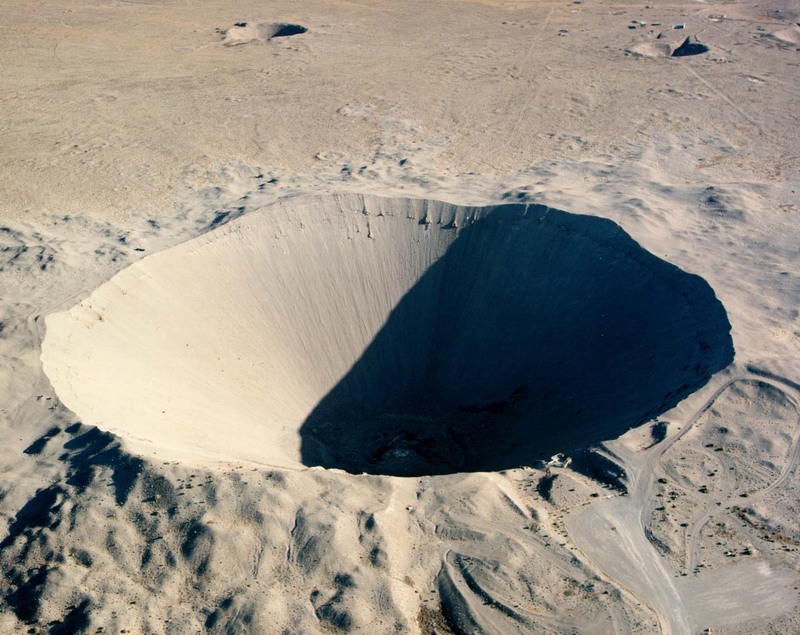 The Sedan Crater at the Nevada Test Site, n.d. Photograph by Federal Government of the United States. Accessed on 12 March 2019. Click here to view Wikimedia source. Artist’s drawing of what the cross section of a nuclear explosion might look like, ca 1966. Courtesy of the U.S. Department of Energy, HD.10.158. Accessed on 12 March 2019. Click here to view Flickr source. To answer this question, Congress created the Atlantic-Pacific Interoceanic Canal Study Commission (ICSC) in 1964. The Commission conducted hydrological, atmospheric, and public-relations studies in Panama and combined their findings with those of AEC studies to conclusively determine the feasibility of nuclear excavation in the region. In 1970, after six years of research, the ICSC reported that the technical feasibility of nuclear excavation remained unproven. The report was careful to note that public-relations and political obstacles could likely be overcome if the technology was viable. The mutated fly in the ointment, however, was the lingering issue of slope stability. Scientists recognized that for nuclear excavation to work in Panama, they needed to create gradual slopes, but they worried that, “Such slopes cannot be produced by single-row explosive excavation and the chemical explosive experiments conducted this far indicate that it is unlikely that multiple-row techniques can be developed to produce flatter slopes.” By 1970, their inability to meaningfully grapple with this problem proved to be too great to overcome. Ultimately, the ICSC justified their decision not only on the grounds of public resistance, but also due to the imprecision of nuclear excavation. While nuclear explosions could radically restructure the Panamanian environment, the capacity to maintain what they created was lacking, and indeed they were likely to exacerbate Panama’s penchant for entropy by destabilizing the landscape. The decision to shy away from nuclear excavation was a remarkable break from the technocratic self-assurance that characterized the 1950s and 1960s, suggesting that new technologies should not be adopted unquestioningly. As the world increasingly relies on fracking, LNG, and fossil fuels to meet modern energy needs, it is perhaps worth looking backwards to cases such as this, and searching for the unintended and uncontrollable consequences that accompany contemporary energy sources as well. Coulombe, Jordan. “Searching for Stability: Energy, Entropy, and the Abandoning of the Panatomic Canal.” Environment & Society Portal, Arcadia (Spring 2019), no. 9. Rachel Carson Center for Environment and Society. http://www.environmentandsociety.org/node/8506. Carse, Ashley. Beyond the Big Ditch: Politics, Ecology, and Infrastructure at the Panama Canal. Cambridge, MA: The MIT Press, 2014. Carse, Ashley, et al. “Panama Canal Forum: From the Conquest of Nature to the Construction of New Ecologies.” Environmental History 21, no. 2 (April 2016): 206–87. Kaufman, Scott. 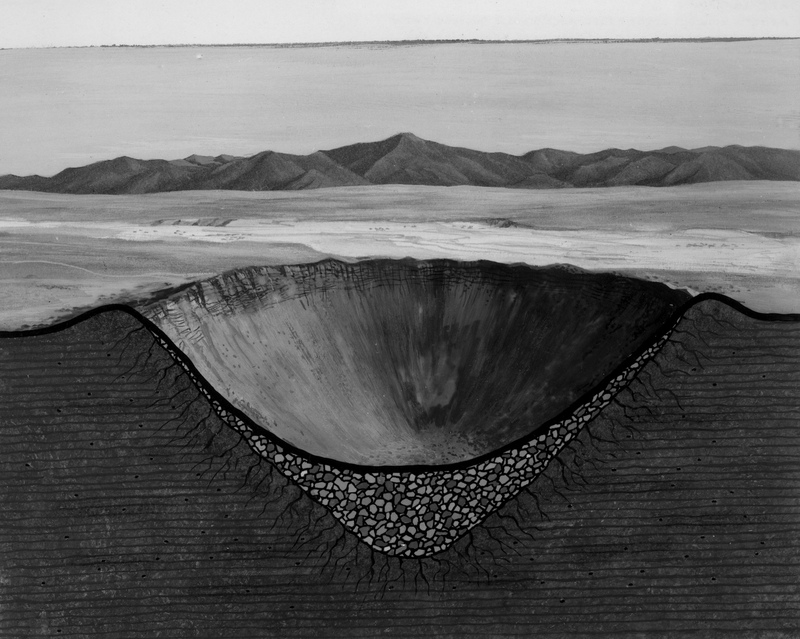 Project Plowshare: The Peaceful Use of Nuclear Explosives in Cold War America. Ithaca, NY: Cornell University Press, 2012. Keiner, Christine. “A Two-Ocean Bouillabaisse: Science, Politics, and the Central American Sea-Level Canal Controversy.” Journal of the History of Biology 50, no. 4 (2017): 835–87. Kirsch, David, “Project Plowshare: The Cold War Search for a Peaceful Nuclear Explosive.” In Science, Values, and the American West, edited by Stephen Tchudi, 191–222. Reno: Nevada Humanities Committee, 1997. Lindsay-Poland, John. Emperors in the Jungle: The Hidden History of the U.S. in Panama. Durham, NC: Duke University Press, 2003. Frenkel, Stephen. “A Hot Idea? Planning a Nuclear Canal in Panama.” Cultural Geographies 5, no. 3 (1998): 303–09. Jordan Coulombe is a PhD candidate at the University of New Hampshire studying the intersection of energy and the environment. His dissertation focuses on American attempts to create Panamanian Transit Networks between 1850 and 1980. In particular, he examines the ways in which these projects were enabled by proliferating energy sources but were often accompanied by unforeseen consequences.